A new car by Honda named S660 is now reported to have come to Indonesia. So what is the price? 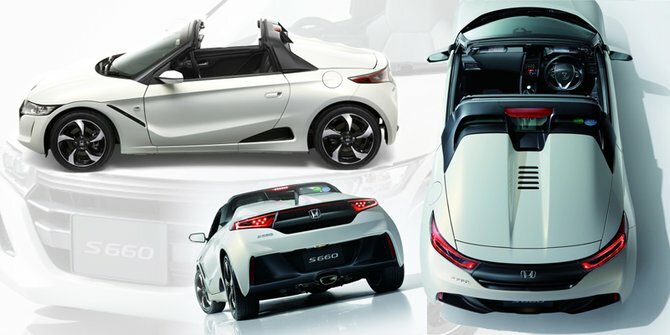 According to the alert Paultan (28/8), Honda S660 will be priced at Rp 800 million. It is even too expensive for the people of Indonesia. When compared with the price of Daihatsu Copen are present in the same segment, it almost doubled. Daihatsu Copen known to sell for about Rp 417 million. The presence of Honda S660 seems to be making sport sedan enthusiasts rejoice. Because the performance offered by this car can be fairly commensurate with the price tag. The embedded engine is turbocharged 660cc twin-cam three pots with explosive power 64hp and 104Nm to the rear wheels. There are a number of features, including LED headlights, leather upholstery, keyless entry, the start button, cruise control, stainless steel pedals, Honda Internavi infotainment system, and City-Active Brake System. Unfortunately there has been no confirmation of when the car is started along the Indonesian market. We look forward to it.